Looking for the perfect getaway? 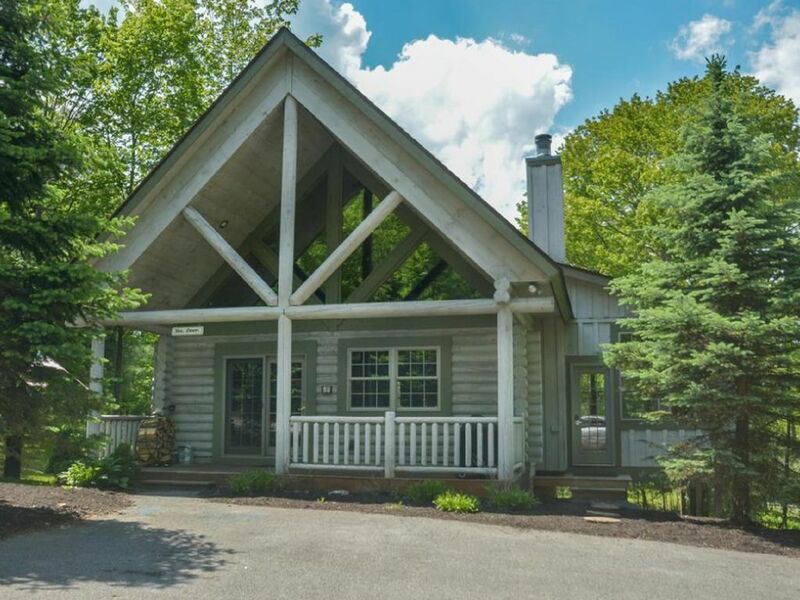 Look no further than Deep Retreat Cabin! Deep Retreat Cabin is the perfect getaway for friends or family and can also provides the perfect setting for a romantic couples get away. As you walk onto the covered front porch you see the rustic bench and chairs waiting and you know good times are ready to begin. Stepping through the front door will whisk you away into a warm comfortable setting with natural wood, logs and an open cathedral ceiling. The open floor plan, which encompasses the Kitchen, Dining and Living room, is the perfect gathering area for your stay. Whether its preparing a meal in the kitchen, gathering at the dinning table or sipping a glass of wine in front of the floor to ceiling fireplace, comfort is abound. Firewood is included with your stay so prepare yourself for fun times and stories in front of one or both of the fireplaces. Pets (dogs only) considered with a pet fee $50 and added $100 pet deposit. Please feel free to reach out with any questions you have in regards to booking. If you find this property is booked for the dates you are hoping to visit please visit our other listing. We were looking for a cabin that gave us a warm and cozy feel and Deep Retreat was a perfect fit. The first time we walked through the cabin we found it warm, comfortable and relaxing and new it was a great fit for our family. We loved the open floor plan revealing natural wood and exposed logs. The first and second floors have full bathrooms with showers. The basement has a full bathroom with a tub. Fresh Sheets, Blankets, and pillows are included with your booking. Indoor and Outdoor Wood Burning Fireplaces. One in the the living room and another on the enclosed porch. Fire wood is included with your booking. Silver Tree Marina is within walking distance and offers kayak and paddle board rentals! Deep Creek State Park is a 10 minute ride and also offers Kayak and Paddle board rentals. Silver Tree Marina is a 7 minute walk or 2 minute car ride away. They offer boat, kayak and paddle board rentals. Wisp Resort is a 10 minute ride away and offers skiing, snow boarding and tubing. Wonderful place to stay the weekend! The house was great. Very clean and had everything we needed, including cookware. It was nice to have a bathroom with every bedroom. We all enjoyed the hot tub. We got to really spend time with our college kids this weekend which we don’t get to do a lot of with everybody’s different schedules. Thanks again! We had a fantastic time with friends at Deep Retreat ringing in 2019! The cabin is fully stocked with everything you need to relax and have a perfect get away! We would love to visit again! This house had everything. Loved the mattresses and the hot tub and all of the games. It was our first time out to Deep Creek Lake and it was awesome. Everything from the initial contact through the end of the stay was great! Duffey contacted me a week before we arrived and asked if we had any special requests or need any local information. The cabin was very clean and well stocked with everything we needed for a week's stay. Great cabin, and even better service. Thanks again! We had a wonderful time at the Deep Retreat Cabin. We spent quality family time by the fire playing games! The cabin has everything you need and our kids loved having there own bedrooms on different floors. A great way to spend time with family and we would love to return. The owners Duffey & Angela were great to work with and have a lovely home.